1974's "Queen II" had been a most impressive, but not particularly noticed album. The chart single from that collection, the jaunty "Seven Seas Of Rhye" saw more people paying attention to this interesting band. Later that year, the huge hit single "Killer Queen" started the era of Queen dominance. 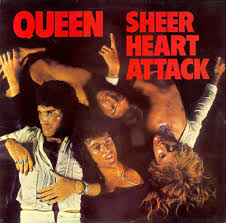 "Now I'm Here" followed as another hit, making "Sheer Heart Attack" a popular album purchase. Toning down the "fairies and elves" lyrics by now, concentrating on rockier themes and music, this was probably their purest "rock" album. The album's opener, the sprawling "Brighton Rock" with its extended Brian May guitar noodling in the middle, on to "Killer Queen", through Roger Taylor's "Tenement Funster!" to the mighty "Flick Of The Wrist", the old "side one" was a corker. 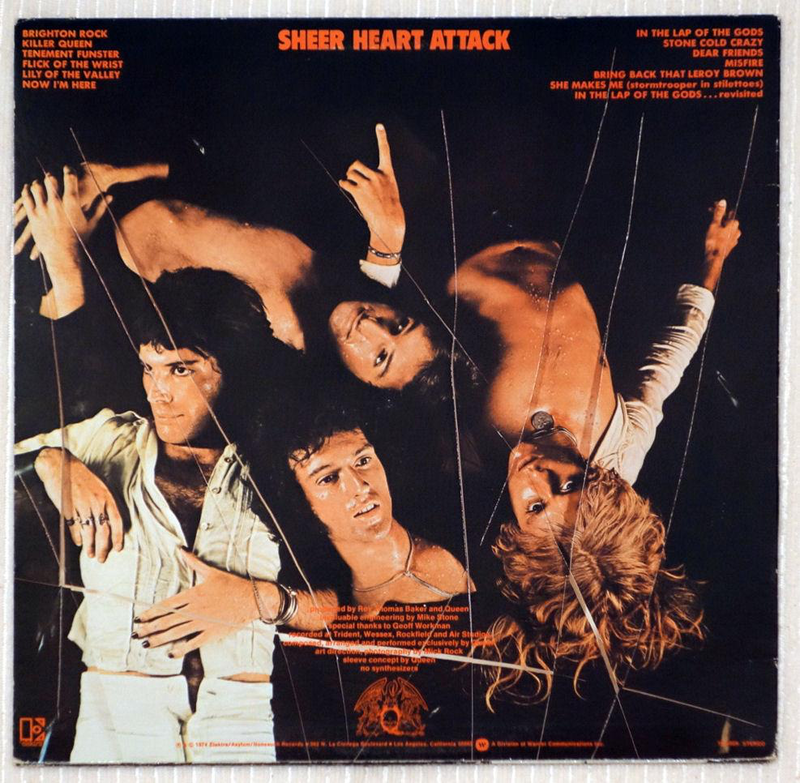 Finishing off with the melodic mini-song "Lily Of The Valley" and the punch of "Now I'm Here", Queen were laying down some serious credentials now. The old "side two" was another romp through several shorter songs, bookended by the anthemic two "Lap Of The Gods" songs. "Stone Cold Crazy" was a couple of minutes of almost punky breakneck thrash and "Bring Back That Leroy Brown" saw the first unfortunate signs of Freddie Mercury's obsession with 1920s vaudeville. "She Makes Me" was an underrated Brian May "heavy" track and "Misfire" was the first of quite a few, and latterly much better, John Deacon songs. Along with "Queen II", this was Queen's finest work committed to album including the multi-million selling follow up "A Night At The Opera". This was a more enjoyable work, in my opinion.